During the Urban Bush Women’s (UBW) Summer Leadership Intensive 2014, which has been held annually at Tulane University in New Orleans since 2009, we learned about Entering, Building, and Exiting community (EBX). This UBW concept has been in development since 1992, when the Company finished a three-month community engagement project in New Orleans. All facilitators were very clear that they never enter a community without an invitation, and Paloma McGregor and Marjani Forté-Saunders demonstrated this when they provided the history of Urban Bush Women through movement. Three main points to keep in mind when EBX include: 1) Different knowledge sets all have equal value 2) There are multiple truths and 3) This is a process-oriented practice that requires one to be in the moment and worry about the answers later. Over the course of the 10-day intensive, some folks had to leave unexpectedly or new faces would enter the space, and Jawole Willa Jo Zollar or these folks would announce their entrance or departure. This helped maintain a safe, trusting space where we could be our freest selves. Think about how it feels when people crash a wedding or when developers gentrify a neighborhood, and residents are reluctantly forced from their homes—the space is no longer safe, and a lack of respect for others is at play. 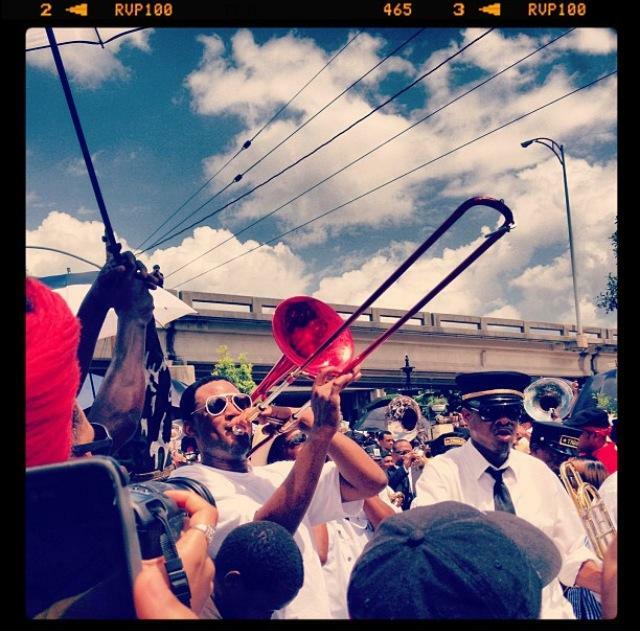 In the sound bites below, Nia Shand shares how her UBW SLI 2012 cohort had an EBX experiential learning opportunity when they were invited to participate in a second-line parade honoring Uncle Lionel Batiste who passed on July 8, 2012. 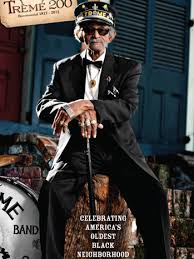 Second-line is a New Orleans iconic cultural tradition, with roots tracing back to West Africa and the Caribbean, where the community celebrates the life of a loved one who has passed by marching and dancing with the brass band. The ‘first line’ or ‘main line’ is for the family, and the second line is for social aid and pleasure club members, friends and the community. Participants often twirl an umbrella or handkerchief in the air. Have you ever been invited to observe or participate in a cultural practice or tradition that was new to you? How are you engaging with the communities you work in and with? Please share your experiences.